A digital world demands a lot from brands these days. It's not as simple as sticking a logo on every form of media the consumer comes in contact with. A brand is all about conveying the tone, values and connection a consumer feels. It's crucial that brands are visible and distinctive in every form of communication. If not, it becomes just a logo. A brand needs to consider how it portrays itself from physical to digital, screen to screen, from a logo to brand. Look at the digital world, pick some of the most distinctive brands you know, Disney, Nike, Chanel, Domino’s. Have you ever noticed that they don't all look the same in every communication? But that's not to say you can't recognise them. This is because these brands all use responsive logos. They are focused on the user experience and having fluidity across all platforms. A responsive logo is about ensuring that the brand can be communicated clearly, fitting for every touchpoint the customer interacts with. Screens fit in our hands and consequently so must brands. It's essential for brands to be recognised across all digital platforms regardless of available size, which may not seem that complex… but getting it right is. Let's take a look at the brands that do it right. Domino’s. Delicious, comforting and smashing the responsive logo game. 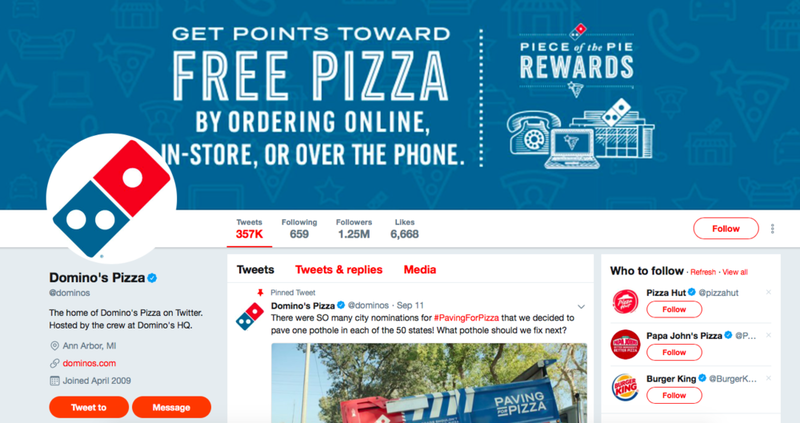 Domino’s can go from their full logo to their iconic domino in a matter of clicks. Just look at how the brand has been conveyed from their store-fronts to social media. It's not just young rebrands that have this down, some brands have been doing it for years without us even knowing it. Take Disney. Now, I'm a Disney fanatic through and through, but there's no denying they know what they're doing when it comes to their brand. Without even realising you'll be able to recognise all of these as Disney. The brand is able to be condensed without losing any of that Disney magic. Its been carefully designed to ensure that consumers can quickly identify the brand in any form from their distinctive curly 'D' to their classic Disney logo seen before the start of their films. John Lewis, an iconic brand with strong customer loyalty, has removed its iconic green for something a bit more modern. So, how does John Lewis' rebrand stand in the face of a digital world? Well, there is no denying that people don't like change, especially drastic change. Consumers didn't take too kindly to the new face of John Lewis. Die-hard fans of the organisation just didn't get the rebrand and took to Twitter to voice their confusion. So, is John Lewis lookin' that bad. Our answer: no (in short). The rebrand brings the high-street retailer into the modern world, with a clean look that conveys the essence and distinctiveness of the brand, their partners. But the question is, in a digital world does the brand work across all its platforms? Is it responsive? Distinctive? There's no denying that it takes time for a brand to become distinctive and taking a household brand like John Lewis is no easy challenge. Customers association in a rebrand is important, picking elements that the customer can identify through all channels, while still conveying the brands' message is key. This is where the beauty of responsive logos comes into play. Correct implementation of responsive logos leads to the strengthening of brands, as every iteration of the logo, no matter the size, becomes recognisable as the brand. On social platforms John Lewis uses a condensed logo: the square and font - losing the hatch marks, reminiscence of their haberdashery past. Whereas, on their website, the word "partner" is removed, and they are left with the logo without text. Now before you grab the pitchforks, hear us out! We're not saying that the brand doesn't work, it's more the fluidity of the brand from touchpoint to touchpoint we are looking at, and whether their logo is responsive to digital media. A disconnection is formed when there is such a disparity between uses. For John Lewis' rebrand, at times their chosen representation of the brand feels like a detachment rather than an evolution. Creating an identifiable progression of the brand, as its scale is altered, not only helps with recognition but to avoid potential issues with legibility. For example, when looking at John Lewis' Twitter, they have chosen to scale the brand by utilising just their font. While this on paper is responsive, in practice the legibility is impacted by the font's thin weighting. Successful responsive logo design must consider both fluidity and functionality. John Lewis' rebrand ruffled a lot of feathers, and while the brand itself has been beautifully crafted, it raised an interesting question in the office about responsiveness in logo design. From the high-street to the digital, brands have to be unique, distinguishable and clear to consumers. Responsive logos are increasing in importance, as the digital world opens new realms of possibilities for brands to engage customers, it's crucial brands are fluid in their communication in every touchpoint. So what do you think? Let us know on social media.